Engage a certified yacht broker who is knowledgeable, well-recognized and with a proven track record for selling yachts such as yours (and not necessarily a big company broker – as independent yacht brokers often offer a more diligent option). Since the internet is becoming the primary method for selling a yacht today, a seller should check the online presence of the broker and his yachts for sale. The chosen broker should have a good track record of interacting with other yacht brokers and a willingness to go to extra lengths in order to get the boat sold. Enter into an exclusive listing agreement with a specified time period. If the yacht broker doesn’t seem like he/she is doing their job effectively…move on – but first understand what your agreement specifies with regards to the listing agreement expiration period. Very few yachts are sold by owner (FSBO), and while it means paying a commission, having a centrally listed boat will dramatically increase the odds of finding a buyer. Although some sellers feel that an open (that is, non-exclusive listing) makes it possible for the seller to sell the boat themselves… it is proven that this strategy is not the best for the active seller – as no one will be actively marketing the boat to your best interest, rather your boat can become a form of ‘bait’ for getting buyers and selling the buyer a different boat, along with the likelihood that the information about your yacht is likely to be diluted and not accurate. It is a strategy which will certainly prolong the sale with the yacht seller eventually coming to the realization that a central listing is essential to good marketing for selling a yacht. The yacht broker will be able to guide you as to market pricing, suggestions for better presentations and also provide a buffer between the yacht seller and buyer, which often enables better negotiating. The yacht broker should prepare a comprehensive specification along with superior photography prepared for selling a yacht. Poorly written specifications and lousy photos don’t help at all and tell the buyer that the broker who prepared the listing is careless or lazy – which often reflects on the boat. Good photos should include high quality wide-angle photos of the interior, good outside profiles and exterior areas along with key machinery spaces. A layout image also helps. The final brochure should be approved by you (the seller) and be posted to key internet mls systems along with other social networking sites such as youtube, facebook, twitter, blogs, etc. Remove the clutter and store personal belongings. Ensure that the interior is spotlessly clean. You might even consider new bed coverings, accent pillows and some attractive knick-knacks arranged tastefully. Have the photos of the boat taken when she is looking her best. Do some maintenance and improvements which will make your boat stand out in the buyers’ eye. Get rid of odors (I use an inexpensive air purifier by Honeywell with has an ionizer and often add a product called KO to the holding tanks). Have your boat buffed and waxed professionally…and then ensure that she is clean for each and every showing. Have areas of corrosion addressed and protected in the machinery spaces…and ensure that these areas are also clean and look well maintained. In other words, when selling a yacht, put yourself in the buyers’ shoes so that they get a terrific first impression! The seller will either ‘pay now or pay later’ – and later costs a lot more! It is wise to consider having a pre-buyer’s survey (even if it is done by a trusted maintenance company) done in advance. While this may seem like a waste of money, it often helps to identify issues and problems before they show up at the critical time of the buyer’s survey – and give the seller time to remedy in a cost effective way. It always costs the seller more to adjust the price or repair known issues after the fact than it would before the fact…and sometimes at the risk of losing the buyer! Locate the yacht in an area which is conducive to yacht buyers. 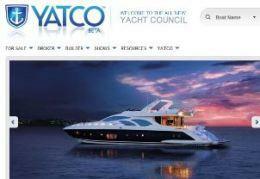 South Florida is a haven for buyers and sellers…along with yacht brokers who will be actively showing your boat. While most yacht sellers think that prospective buyers don’t mind traveling if they are focused…it is a proven fact your boat will show more often if it is easy for buyers to get to it. For example, I have had a nice, upscale pilothouse yacht located in the Florida Keys for a year with only a few showings. Moving the boat to Fort Lauderdale brought the same amount of traffic in only a few weeks. Locating a boat in South Florida also provides a good area to the seller to continue using the boat year-round with great cruising areas, excellent yachting services and relatively inexpensive dockage. Also, it is very important for the yacht to be easily accessible which means that the dock and yacht entrance should be easy to get on board and off with consideration being made with tides and boarding ladders. Price your yacht in tune with the market. Just as when you bought your boat, buyers will determine the market price. Your boat certainly has competition and even if it is an uncommon model…it will sell if priced in accordance with the market. Traffic should give you a clue for the price. If your boat is in nice condition, ready to show and located well; but no traffic…you should adjust the price accordingly. For example, I recently had a very nice 46’ Bertram sport fisher and a late model Searay 44 express – both with plenty of competition. They both sat on the market for a while because they were priced above the rest of the market. As soon as the seller lowered the price into the median range of the competitors…bingo – they both sold within 30 days with buyers clamoring for the purchase. Consider the possibility of taking another boat in trade. Many buyers are avid yachtsmen who enjoy yachting and want to move up. Many of these buyers already have a boat and are reluctant to put their boat on the market; only to wait until it sells in order to move up to their new dream yacht. Thus a yacht seller who is open to a trade possibility will have a much better chance at not only selling over a yacht seller who is resistant to a trade, but also will reduce his cost of ownership and perhaps gain a smaller trade that can be enjoyed. The key is for both the yacht seller and yacht buyer to be fair and transparent with their pricing and yacht deficiencies. Often one party will be more aggressive with their approach than the other…which will simply not work. Another option is for the yacht seller to make the deal for the selling boat (with the liquidated value of the trade held back by the buyer) and give the yacht buyer time to sell his trade boat at an advantageous price – with a ‘parachute price’ specified in advance by a wholesale buyer in the trade yacht doesn’t sell. In this case the seller would hold a mortgage against the selling yacht until the trade yacht sells and would then liquidate the trade yacht after a certain period of time. If you have followed the tips above, you should see offers coming in. Buyers should be qualified and have financing lined up in advance. They should be in the form of a written purchase agreement which will be secured by an escrowed deposit once the offer is accepted, with time given for due diligence followed by an acceptance or rejection of the yacht by the buyer. Hopefully a realistic buyer will have financing already lined up if they intend to borrow from a lender. Given the current financial climate, the yacht seller should expect ‘bottom feeders’, that is, buyers who make ridiculous offers with the hope of finding a desperate seller. Realistic buyers will often make offers within 85-90% of the asking price (provided the yacht for sale is priced fairly in accordance to the market) – as no one wants to pay more than they have to. The wise yacht seller will start negotiating with an indication that they are inclined to reduce the asking price – followed by a series of rounds until a deal is struck. “Drawing a line in the sand” early in the negotiating is not recommended, as it tends to alienate the yacht buyer. Your yacht broker will be an invaluable asset during this period; helping to explain your position, maintain an atmosphere of congeniality and gathering insight into the buyer’s concerns. Invariably, most yacht sellers fail to realize that some issues will be coming up on survey and that they will need to be remedied (either with a price reduction or repair) in order to get the buyer to accept the boat (see above tips on Taking care of problems ahead of time). The wise buyer will negotiate for a remedy of the serious issues and not focus on the minor issues without becoming emotional. Sometimes, a ‘perk’ such as dockage or something else can be offered to the yacht buyer to displace a concern. In conclusion, a yacht seller who follows these tips will find that their yacht has a much better chance of selling quickly and at a better net amount realized. Unsold yachts still cost the owner for ongoing costs such as insurance, dockage, maintenance and often interest. Not to mention the continuing depreciation. Smart sellers realize these facts and find that taking these measures early, makes the process much to their advantage. Contact Andy Kniffin CPYB at (954) 292-0629 directly or email him at andy@akyachts.com with any questions. 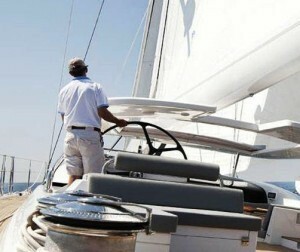 Aircraft Charters makes Yachting Easier!